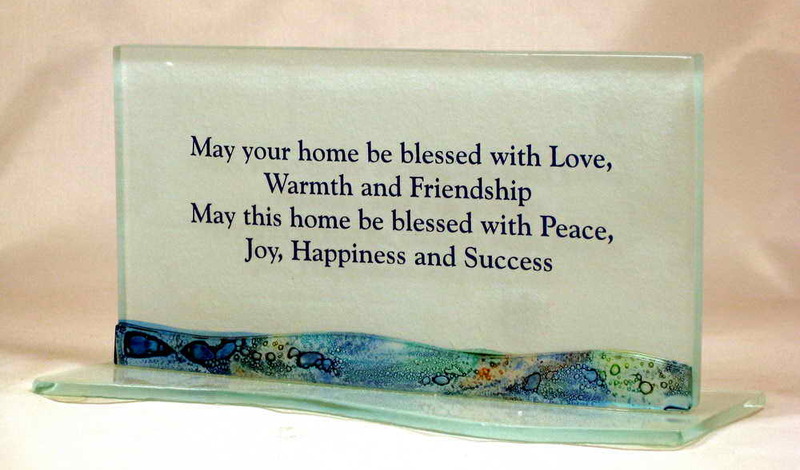 This Fused Glass Desktop Sculpture Is Handcrafted With The Home Blessing Printed On It. The Blessing States: May Your Home Be Blessed With Love, Warmth And Friendship May This Home Be Blessed With Peace, Joy, Happiness And Success. 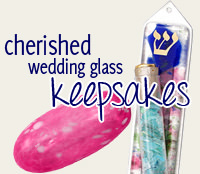 This Special Gift Is Crafted With Heavy 1/2" Glass And Is 8 1/2" Wide x 5" Tall. As Each Piece Is Hand Made And Unique, No Two Will Be Exactly Alike.